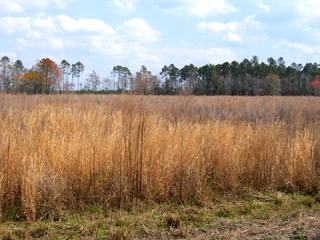 Plantation Services Inc: Garrett Farms in Georgia featuring hunting land, farms, country estates and plantations in South Georgia. 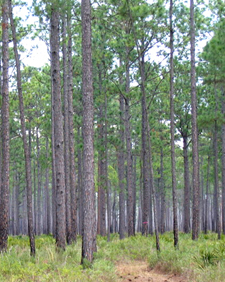 The first time an individual visits Garrett Farms they will surely be impressed with the vast stands of mature pine timber and beautiful woodlands typical of the most desirable South Georgia plantations. 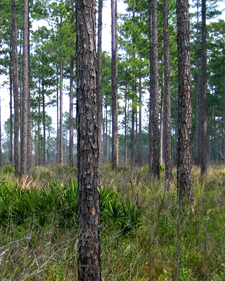 Location: Garrett Farms is located in south central Georgia in Berrien County approximately 15 miles northeast of Nashville and 30 miles east of Tifton on County Road 167. 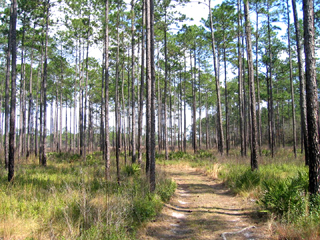 This area is well known for having excellent land for timber production and farming. Description: The property consists of spectacular open-canopied longleaf and slash pine woodlands, open fields, and cypress and hardwood lowlands. 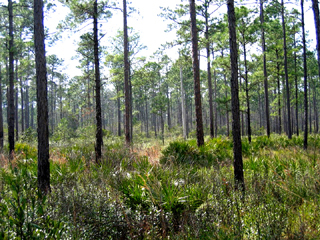 A well managed timber program has made the property a natural habitat for deer, turkeys, and quail. Ducks also frequent the area attracted to a pond located in the center of the property. The farm has an excellent system of well-maintained roads providing easy access throughout the property. This exceptional property is priced at $3700/acre.